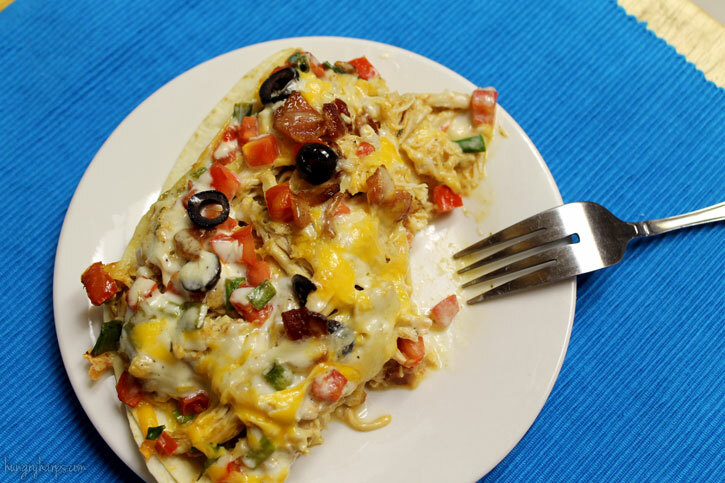 3 cups shredded chicken - I use the recipe for Cool-Ranch Chicken from Family Fresh Meals, without the broth. 2. 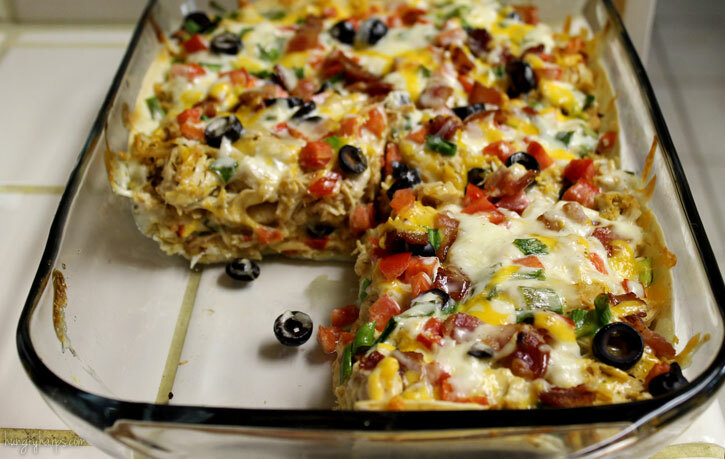 In 9x13 casserole dish, place two tortillas down. They will overlap and that’s ok.
3. 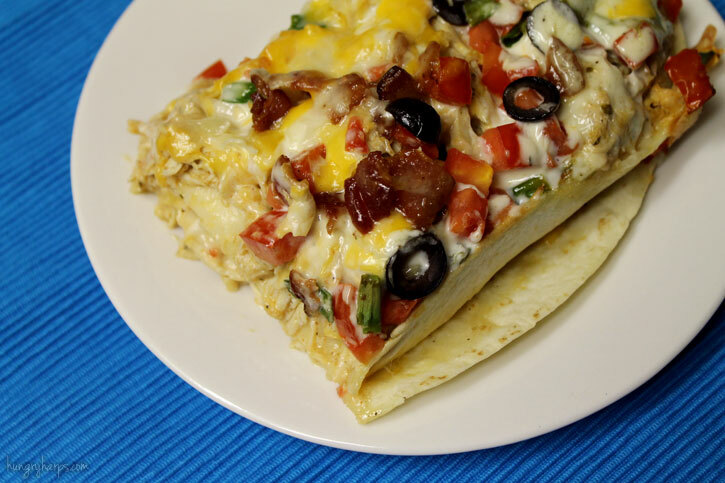 Top with half of the chicken, ranch dressing, cheese, tomatoes, olives, green onions and bacon. Lay down two more tortillas and repeat the layering. 4. Cover with foil and bake for 30 minutes. Remove foil and let cook for an additional 10 minutes or until cheese is completely melted and starting to bubble. 5. Let cool for 10-15 minutes and devour!